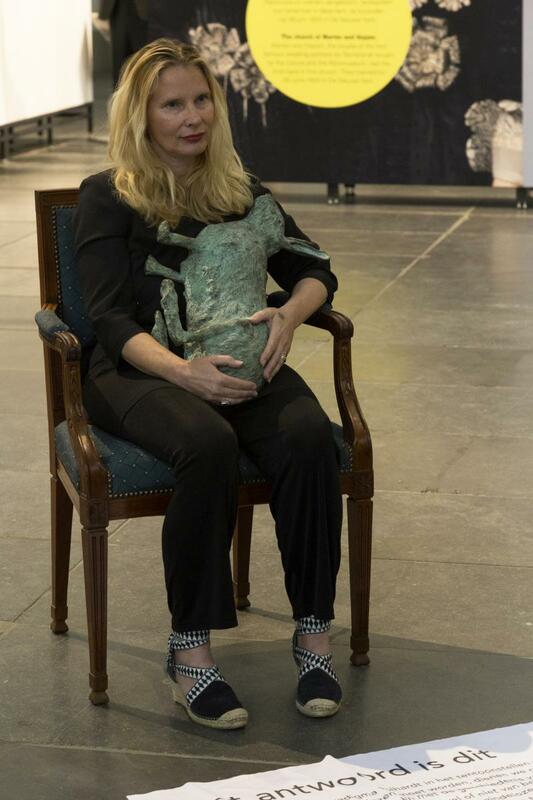 During his long-term project On Friendship / (Collateral Damage) in which he collaborates with Metropool International Art Projects / Studio Meritis MaKOM (Linda Bouws), the main question is how western art and culture are presented and why. In Part 1 (2015) Semah searches for the specific Jewish implications in Kazimir Malevich's (The Black Square) and Barnett Newman's work, and also critically researches the claim by a growing group of people that refer to the Jewish-Christian origin of European culture. Through his lawyer Bob Vink, Semah makes contact with Beatrix Ruf, director of the Stedelijk Museum Amsterdam and asks her to account for the 'empty page' in art history on behalf of the art world. In On Friendship / (Collateral Damage) II - The Guardians of the Door Luther and 500 years of Reformation are the central subject: with art, performances, artistic interventions, round-table conversations, lectures and a book publication. There will be critical reflection on the image of Luther as a 'superstar' and on his importance then and now. 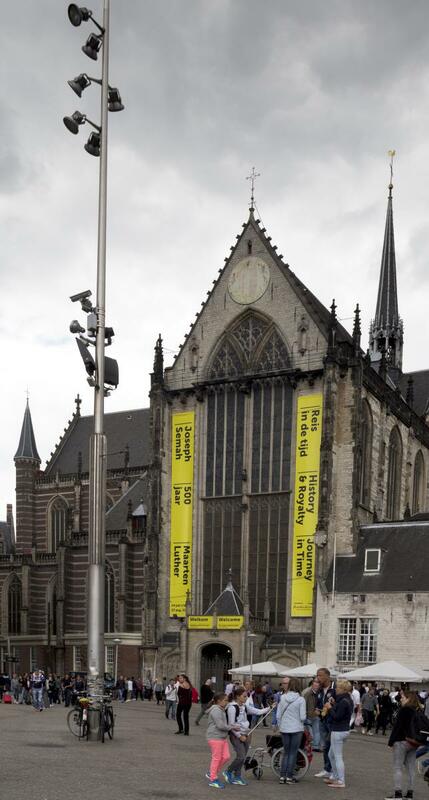 The Nieuwe Kerk, The Joods Historisch Museum, the Stedelijk Museum and the Goethe-Institut are all partners in this project. The starting point was Semah nailing his answer to Luther on the door of The Nieuwe Kerk, preceded by a 'procession' coming from the Dam square. And in the background we still see the unsolvable dilemma of the Guest. On the one hand he is forced to be silent about his highly personal way of reading, while on the other hand he uses Christian tactics to be noticed without being discovered. The Guest in ourselves is primarily an artist with words, for words form the way he has learned to conceal his name, hide his doubt and suppress his fear by publicly criticising his wish to participate within the western paradigm. Please note, the nostalgia for a lost paradise, will pursue the Guest from the start and during his whole active life in exile. After this intervention at the church-door there was a round-table conversation about Luther's influence on the arts. From every angle that one looks at Luther's influence, we must acknowledge the background of the speakers: christianity, judaism and art world. 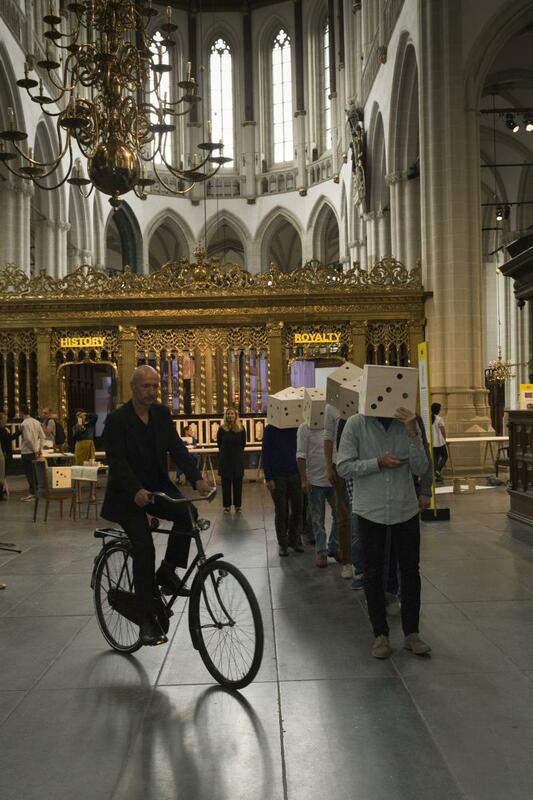 On the 13th of July 2017, Joseph Semah pursued the case with a public intervention/ installation in the Nieuwe Kerk, observed by a large audience. At the end of the performance the audience is invited to fasten the 5000 meter of long threads to the table. They are finally pinned down with a boiled egg (95 in all, in reference to Luther’s 95 theses), leaving a fan shape of threads on the church floor. In the Joods Historisch Museum there will be a a special selection of Semah's work on show, from the 5th of October 2017 until the 7th of January 2018. An exhibition directly reflecting upon On Friendship / (Collateral Damage) II - The Guardians of the Door. In Budapest (ART MARKET BUDAPEST) Joseph Sassoon Semah will give the performance On Friendship / (Collateral Damage) II - The Guardians of the Door, (October 12th ) and his artwork will be shown by Léna & Roselli Gallery (October 12-15th). On the 20th, 21st and 22nd of October the conversation will be continued with the Stedelijk Museum Amsterdam, including a round-table session, the presentation of the book publication On Friendship / (Collateral Damage) II - The Guardians of the Door, five unique performances by Joseph Semah and a three-day reading session in a specially constructed MaKOM house made of concrete blocks set at the entrance, in which Semah will read from selected texts of his 30-year research into the 'empty page'. This way the Stedelijk Museum agrees to the question of our times that a museum must be more than just a place of presentation, but also a place where different interpretations and visions on art can be fully appreciated. Visions formulated in the book by Egbert Dommering, Maarten Doorman, Arie Hartog, Paul Mosterd, Margriet Schavemaker, Emile Schrijver, Rick Vercauteren, Felix Villanueva en Jan Voss, and including texts by Joseph Semah en Linda Bouws. At the Goethe-Institut (9th of November) there will be a meeting with Arie Hartog, director of the Gerhard-Marcks Haus in Bremen and five pieces of art by Semah will be exhibited.